SEALPAC WILL BE YOUR BEST PARTNER IN SEALING TECHNOLOGY ! 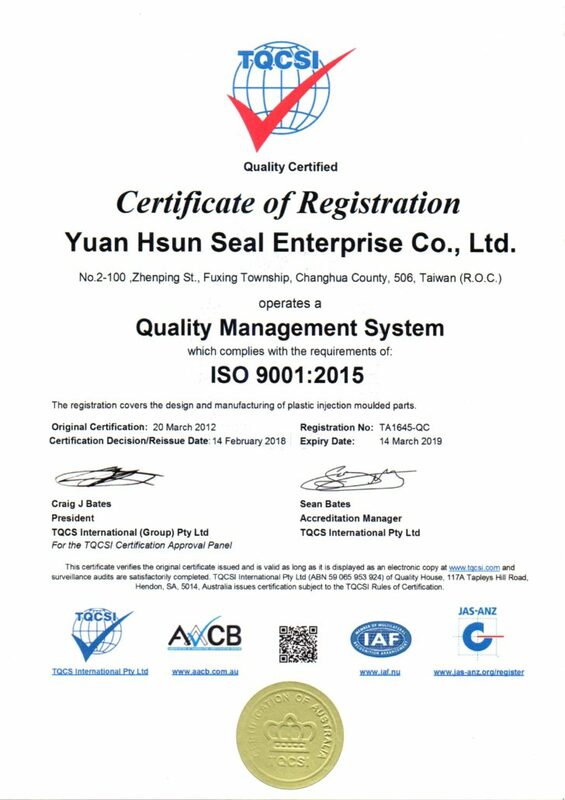 Our Company Yuan Hsun Seal Enterprise Co., Ltd ( YHS / SEALPAC) was founded in 1991, developed technical, and have production experience for more than 30 years. We are a specialized hydraulic seal manufacturer with polyurethane injection parts for heavy-duty construction equiments and the general industries in Taiwan. SEALPAC are an ISO9001 certified manufacturer and we have own mold department with many years of experiences for developments, to lower the mold cost to create high quality products and provide to the most cost effectively for the purpose of solution. SEALPAC also offer custom-made services to comply to different function requests, so please CONTACT US for any comments. SEALPAC believed that to promote product value continuously and to bring the customer’s satisfaction are always our key point of objective. The creativity of development is our goal and the customer’s support is our powerful source. YHS / SEALPAC will be the best partner in sealing technology. Our company will be based on the experience for more than 20 years to upgrade continuously for the quality. The product has been improved to the automated production line. To create the value for more environmentally friendly and energy-saving will be the future direction. The vision of Professional, Integrity, Public Welfare, Environmental Protection and other concepts will be our sustainable development managing policy. Choose PU seals, for the effort of environmental protection to the earth.